The new technology “P-Ion” incorporated into our highly popular, long-selling signature floating line, Fine Float. Improved surface texture and highly durable water repellency with P-Ion processing. Gives you hours of fishing enjoyment due to the sustained basic performance of “not too floaty, not too sinky” that’s required of a fluoro line. Unprecedented slick line surface made possible by our newly developed super-high water repellency technology. Guide and float friction are reduced, and even lightweight rigs can be sent straight to the desired point. HI-TECH STRUCTURE FEATURES: P-ION Processing, Non-Stress Parallel Spooling, UV-Resistant Processing. For selection on the original version Siglon FF ..scroll down page. SUNLINE'S flagship product and the #1 choice of our pros for use on the Tours. Super FC Sniper is the #1 fluorocarbon in the Japanese market and quickly gaining popularity in the US. The line has all the features and quality to make it a great choice for all techniques with spinning or casting tackle. FC Sniper is Sunlines most versatile and best selling product. We offer it in natural clear in 200 YD / 183M filler spool, Made in Japan. Sunline Super FC Sniper 100% Fluorocarbon offers a perfect mix in strength, durability maintains a high knot strength. 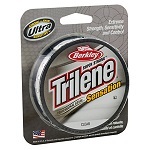 It also offers excellent sinking capability getting your bait to the fish in deep water. Power Pro structure begins with ultra-strong braided Spectra Fiber, then use Enhanced Body Technology to create an incredibly round, smooth, and sensitive line. PowerPro outperforms monofilament lines in any situation and leaves other superlines in the dust. Try PowerPro on your next fishing trip, and see for yourself why it's every angler's dream - and every fish's nightmare! Blood Run floating mono has excellent knot strength, and will not absorb water or Ultra Violet rays which will impact traditional monofilament fishing lines. All colors of Blood Run Float Mainline also have anti-freezing compounds mixed in with the resins, to provide exceptional performance in below freezing conditions. These compounds were tested extensively during winter 2013-2014 in sub freezing temperatures and provided zero coil performance even off spinning reels. Features & Benefits: Precision Winding, Super abrasion resistant when snagging trees, bushes, rocks and logs....this is one tough float line, designed for Steelhead and King use ..in harsh conditions! Please pay close attention when selecting test/color as listed above. If you select a non stocked color/test, we will ship at random ..no exceptions! Sunline Super Natural Monofilament line features include V-R processing to protect the line from UV rays, Supple and easy to handle, Super Tough and precision engineered for strength and easy management, has a uniform diameter, a truly round cross section, low memory, resistant to kinks and curl. Supernatural spools well onto reel, and offers low stretch. Available in clear. C21 is the latest addition to the P-Line family and is sure to raise the bar of what anglers can expect from an economically priced line. This copolymer line is made with Japanese raw materials and technology. Pline's engineers’ ultimate goal was to create a line that bridged the gap between two of our most popular lines, CX-Premium and CXX X-Tra Strong, while maintaining a great price point. Castability is the most important attribute for an angler, and C21 delivers with a soft construction which literally flies off the reel with virtually no memory. A copolymer line made with two types on nylon, C21 synergistically creates the ultimate line for spinning or bait casting reels, without putting a big dent in your wallet! Clear in color. BERKLEY IRON SILK "Tough as Iron - Smooth as Silk"
Sunline's Siglon FF (fine float) line offers many features not found in other monofilament lines. Its high tech structure offers high visibility in a vivid yellow, and is full floating for fast hook-sets and drag free drifts in light and heavy flows. Its floating capability allows it to lay on the water's surface for easy tracking and mending of the line. 6-8lb has a semi hard finish, 10-12lb has a semi soft finish, 16-20lb has a soft finish. UV-R manufacture reduces ultraviolet rays and water absorption deteriorating the line in color and structure. Triple Resin Processing makes this line very smooth handling, excellent water repellence due to its slippery smooth surface which aids for reduced ice-build up in extreme temps, high break strength, memory free, curl free, moisture proof excellent abrasion resistance, knot & shock strength fighting the harsh elements. In addition siglon ff is thinner in diameter by test compared to most lead brand monofilament's. Available in 150m one-shot filler spools in 6lb, 8lb,10lb & 12lb and in 200m one shot filler spools in 16lb, 20lb, 25lb M. I. Japan. Siglon F fishing line offers an unsurpassed performance due to a unique process that fills the spaces between the nylon molecules with resin. As a result, Siglon F is moisture-proof, curl-free, strong, shock-resistant, zero memory, excellent knot and abrasion resistance fighting the harsh elements. It's resin-reinforcement process features water repellence which aid's for reduced ice build-up, strong resistance to abrasion, enhanced casting power due to a slippery layered structure and soft-low friction characteristics against rod guides. A special technique also prevents the fluorescent color of the line from fading and remains strong and flexible no matter how long or how often it’s used. We have noted that Siglon F is thinner in diameter by test compared to most other leading brand mono lines. This thinner diameter may be beneficial due to the use of today’s third generation strength fluorocarbon leaders demanding increased main line test and avoiding line brakes above the swivel, while still keeping main line weight & diameter at comfortable levels. Comes in compact 330-yard filler spool. M. I. Japan. Color Selection? Siglon F fluorescent orange and pink colors offer the highest line tracking capability while drifting and should be the colors of choice by Steelheaders seeking this effect. Clear-blue and flo-blue however, offer low or zero line-tracking capability while drifting. Although these two colors have visible color spooled in your reel as a whole, once unwound and in the water they do not offer any relevant or visible fluorescent properties. Siglon V is I.G.F.A (International Game Fish Association) class monofilament fishing line, which results to thinner diameter by test compared to other non-igfa rated mono lines. It's breaking strength is very close to the # lb-test stated on the label and users should not compare this line to regular mono by test-strength but rather by it's comparable diameter to other lines. This ultimately leads to Siglon V having greater strength in test over any other line and with less diameter. It's resin-reinforcement process features water repellence which aid's for reduced ice build-up, strong resistance to abrasion, enhanced casting power due to a slippery layered structure and soft-low friction characteristics against rod guides. Siglon V also has a near zero memory as siglon f and should be the line choice for color-conscious steelheaders not confident fishing with fluorescent color in their main line. Available in clear or moss green color. 300m/330yds filler spool, Made in Japan. Sufix Siege™ has superior casting distance with pinpoint accuracy due to its proprietary extrusion process. It has up to 15X greater abrasion resistance then other lines on the market and has exceptional knot strength and smooth handling. With exclusive G² Precision Winding™ (330 yd. spools) line memory is virtually eliminated. With most fishing lines, you have to sacrifice one performance feature to gain another. Not so with Sufix Elite as manufacturer suggests. The manufacturer states that this is as close to a "perfect" monofilament line as there is. Elite is referred to as the "no compromise" line because you don't give up a thing to gain superior strength, handling and durability. And Sufix Elite goes beyond other lines with exclusive G²Precision Winding. Line lays on the spool (extra-wide) in concentric circles so it has virtually no memory. Sufix Elite excels in every important performance category. Your fishing success will soar with this ultra-premium monofilament on your reel. Sufix ProMix™ is a perfectly balanced, low memory line that offers high knot strength and smooth casting. It's perfect balance of performance properties assures smooth, easy handling. High tensile and knot strength with low stretch and high shock absorption provide fast, sure hook sets. Low memory which improves casting distance. Features: Smooth-Easy Handling, High tensile and knot strength, Low stretch, High shock absorption, Low memory Improves casting distance Available in lemon green as shown, in bulk-service spools and select filler spools. 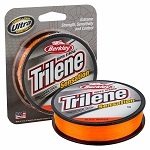 This premium quality monofilament has excellent abrasion resistance and high breaking strength. Raven Main line's supple formulation and high buoyancy makes it ideal for float fishing spooled in a centrepin reel. in addition, Raven lines offer excellent value at 1/8lb spools with lots of yardage in all tests. Colors and test available on selection.